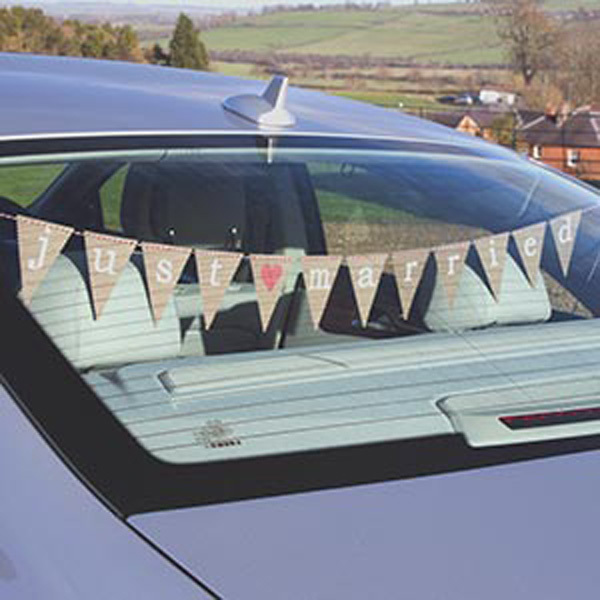 This Just Married bunting has many uses – hang along front of bridal table, on the back of the car, at the ceremony. This Just Married sing consists of triangular flags with a central heart mofit. 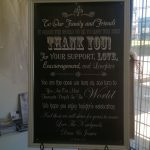 Easy and quick to assemble, made from high durable card approx. 1m long when assembled. 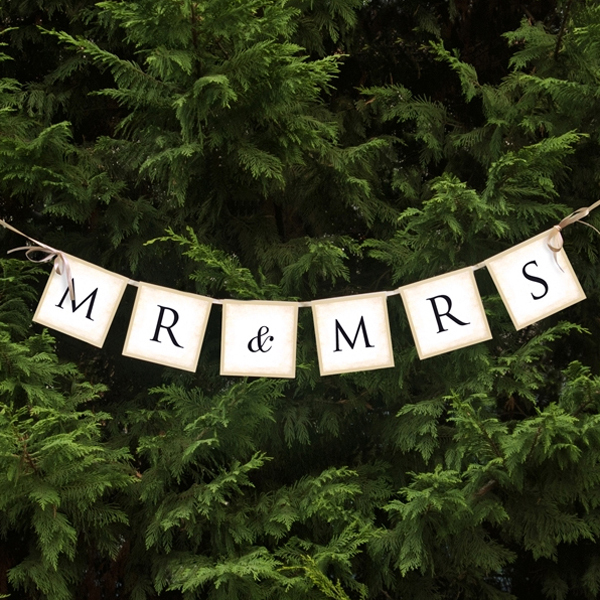 77cm Vintage styled wedding banner MR & MRS design. 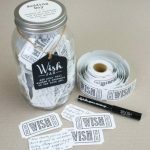 A wish jar is designed to collect notes, messages, well wishes and words of wisdom from guests at your wedding. 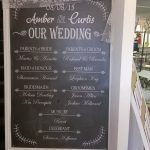 Open the jar after the wedding and read all the notes!! 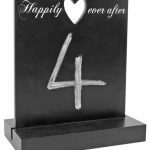 Pen and labels included as well as a small chalk plate to write your own special message.